Its author uses the pseudonym Nik Ripken. Why a pseudonym? It is pseudonymously written as a part of the author’s effort to protect the identities of the people whose lives continue to be in real danger because of their faith. Ouch! Hard words, no doubt, but (prophetic?) words nonetheless that Nik Ripken believes that many of us need to hear. He may be right. Still, it's amazing to me how often it seemed that I was reading a paraphrase of the New Testament book of Acts. 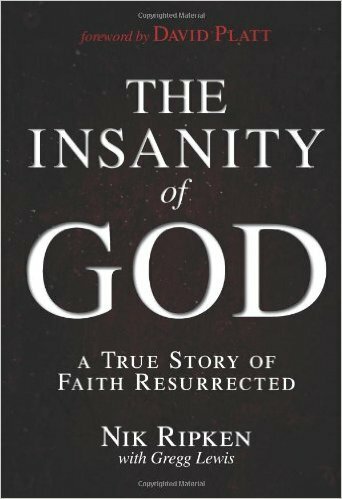 I enjoyed reading The Insanity of God and I do recommend it. Peace and Blessings.